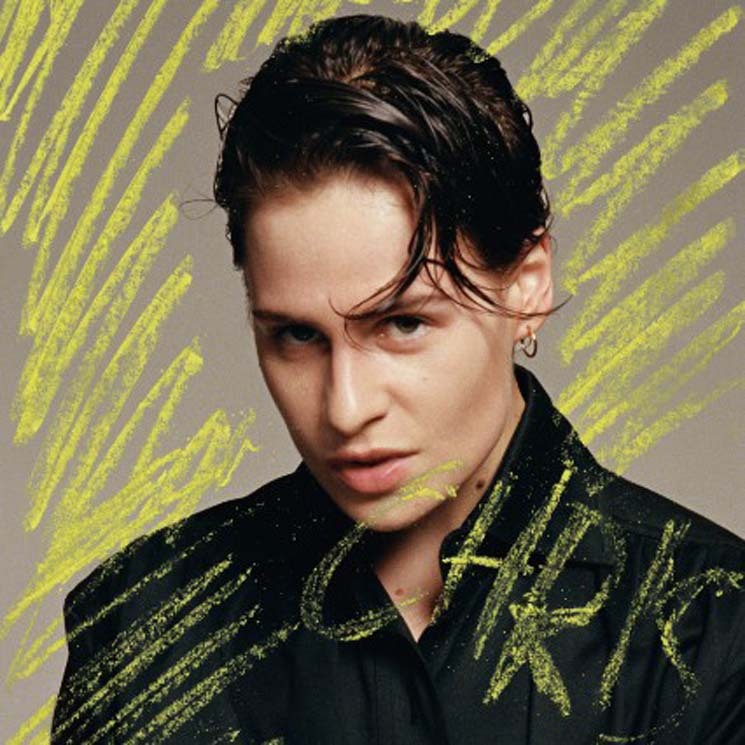 If Christine and the Queens' first album, Chaleur Humaine, was a more subdued and introspective record, with Héloïse Letessier (aka Christine, now Chris) looking in, the followup, Chris, swings the other way. It's confident, with Letessier projecting herself outward, and fittingly, as her first record since coming out as pansexual, it's replete with powerful assertions of identity and agency. And while Letessier has always been within the pop canon, the sound here is correspondingly dialled up: it's an energetic sonic embrace where her warm beats are still on display, but beefed up with more assertive, punchy vocals and engaging embellishments from some guitar-driven funk to minimalistic repetition and layering, and R&B grooves. Chris lays its modus operandi out with flair from track one — "Comme Si" jumps out of the gate with hints of an '80s power ballad, and an exuberant confidence — evoking a feeling of dream-like jouissance: think of someone running down the street, dancing, flailing their arms and not caring. Then, Letessier switches gears for the first time of many, with the album's first single, "Girlfriend," a collaboration with California producer Dâm-Funk that smoothly descends into sultry funk. The tone may be an abrupt change, yet it's easy to imagine the French singer be-suited, perhaps like a pop music Marlene Dietrich, and looking to pick up at a bar. She croons "I don't feel like a girlfriend" and oozes sexual confidence as she does it. The album is laden with confidence, but Letessier gives it myriad forms — accompanied by the agitated synthesized sirens of "Damn (What Must A Woman Do)," she's driven and motivated. One song later, the album's token ballad appears: the rather sparse "What's-her-face" flips to an anguished tone, yet even here, Letessier is strikingly comfortable and confident, even in sadness. It's to Letessier's credit that so many tone shifts can be jammed into one album while still making it gel — every track seems to bring a distinct mood, and it's easy to get absorbed into those, all while getting a more uniformly sensual and dance-friendly joy from each track. The album grooves within a certain electro-pop domain for the most part, grounded in plenty of circular beats that keep it consistent, despite the periodic dips into funk or ballad territory. Unfortunately, while Letessier is definitely embracing more of a punchier pop sensibility here, it could be pushed to greater heights. Some tracks, like "Doesn't Matter," are splendid on their own, without getting into a showy pop realm: what that song lacks in hooks, it makes up for with micro walls of sound and a choral climax, courtesy of some sublime layering. But others are better at a distance. Moments like "Goya Soda" initially seem to be an intriguing piece of avant-garde weirdness, but on closer inspection, it's an overly cyclical slow jam that's light on hooks and missing any kind of climax — then it peters out. "5 Dollars" manages to work Letessier's repetition of the song title into a catchy earworm, but under scrutiny, the song is a little jumbled.